Sumavision EMR can support any input, any processing and any output in DTV industry. EMR is a modular designed product with hundreds of functional cards. 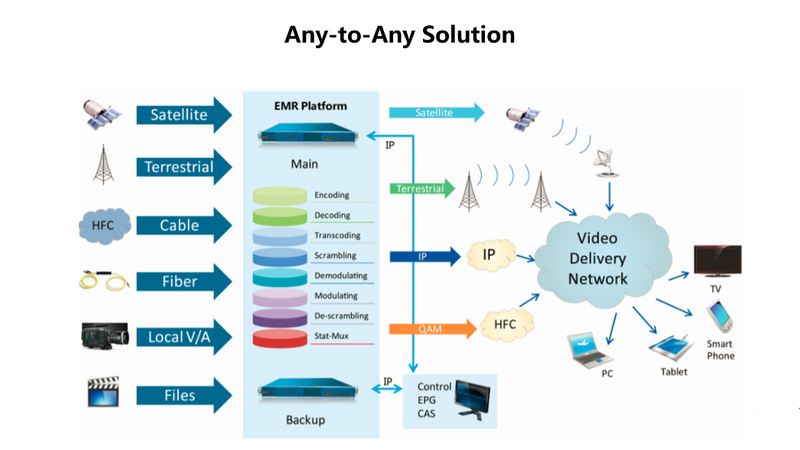 EMR can be used as encoder, transcoder, modulator and even integrated video signal processing platform.